These radical before and after pics show that a little love goes a long way. 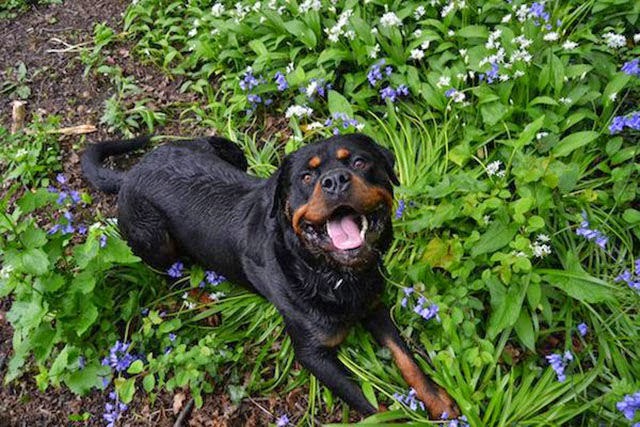 The general mission of a shelter dog home is to end the cycle of homeless animals by saving dogs from all over the world that have no hope of a better life, encouraging our community to spay and neuter their pets, and providing education and resources to help pets live a long and healthy life. Here are some of the dogs they bring back to life. Four months and forty pounds later. He now looks like a different being all together. 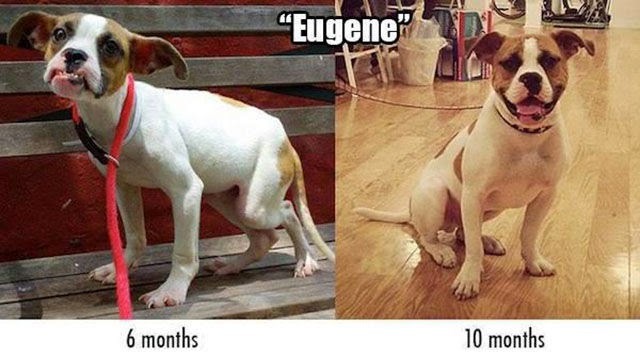 Eugene now has so much energy and he stands upright (something that the vets were told would never happen). And here is Hippo now, a stocky, furry, 6 month old wrecking ball. 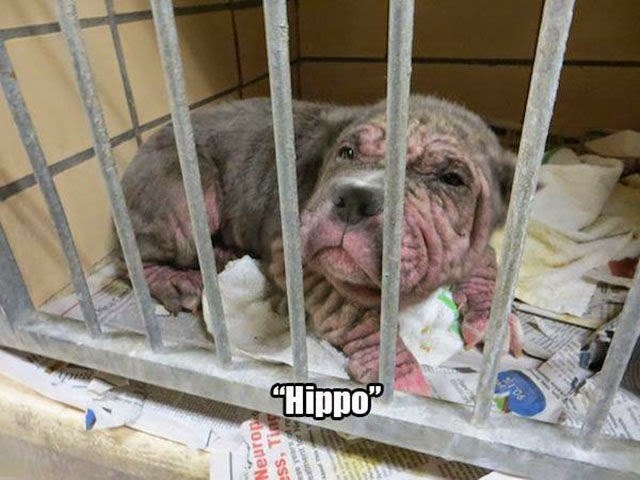 When she arrived, she had one of the worst cases of mange the organization had ever seen. She was swollen from the tips of her toes to the lids of her eyes. The parts of her body, that were once covered by fur, were now lined with hard callouses that she was desperately trying to chew off. The infestation of mites had ravaged her skin so badly that with every movement her flesh would crack and bleed. 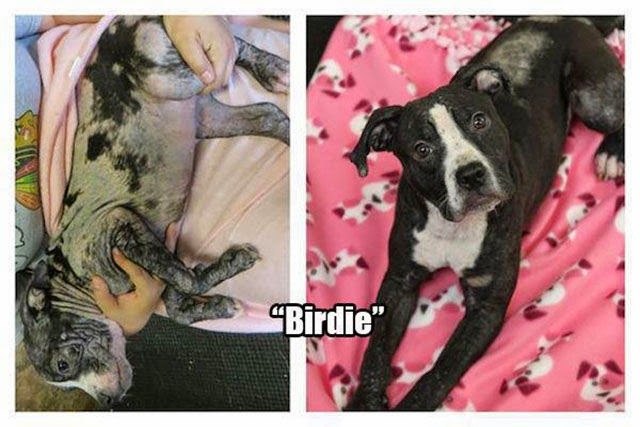 After a month of daily treatments, Birdie was healthy enough to be spayed and vaccinated. 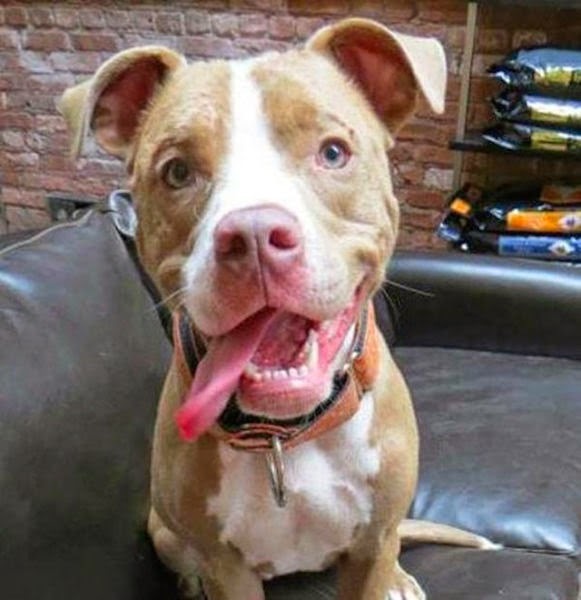 This playful puppy found a forever home and now you can barely tell that she ever had anything wrong with her. 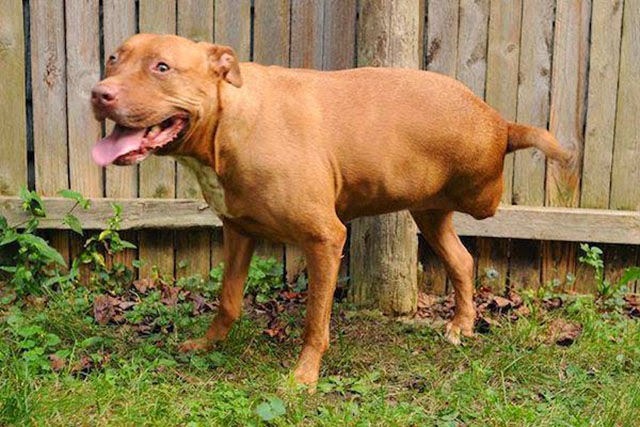 This emaciated female pit bull came to the shelter with extensive damage to her back leg. 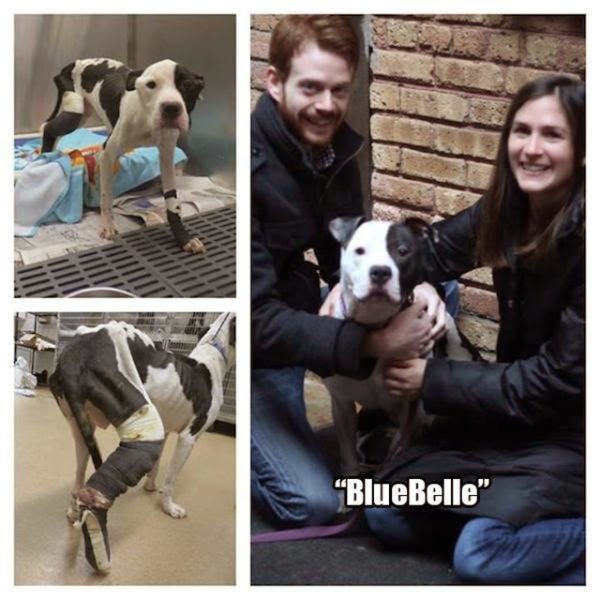 There was pus and necrotic tissue on the leg– and if Bluebelle hadn’t been so emaciated, she would have had her leg amputated to prevent the further spread of gangrene and infection. ead skin and necrotic tissue in and around her wound was cut away and the wound was flushed out. With top-notch medical care, many prayers, and good thoughts from Bluebelle’s followers, this beautiful girl made a miraculous recovery. 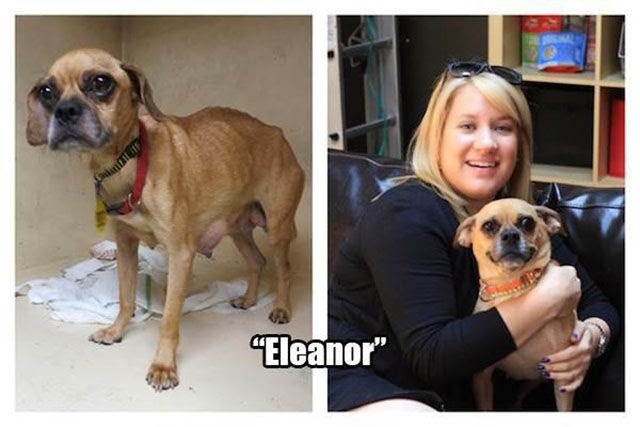 One day when a man was throwing out his trash in a closed garbage can in Chicago, he found Eleanor inside. Somebody had to have dropped her in there because there is no way that she could have made it into such a high and sturdy trash bin on her own. This little lady was underweight, dehydrated, and had recently given birth to puppies because her milk ducts were engorged and infected. She eventually made a fully recovery! 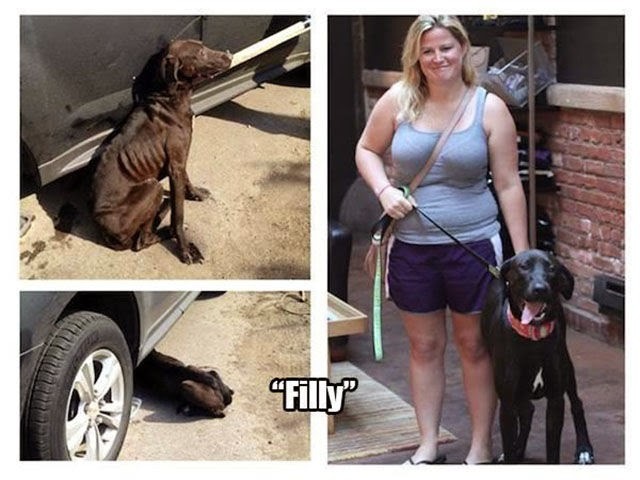 Filly’s story begins when she was spotted on the side of a road by a police officer. 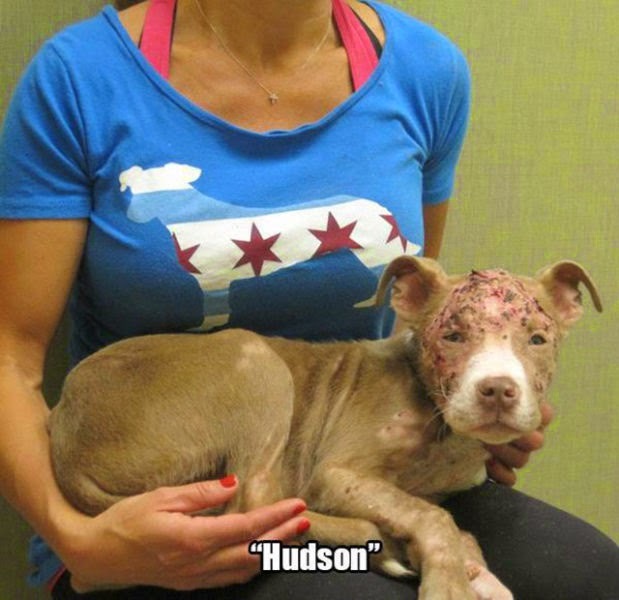 When people arrived to rescue her, she was hiding in a discarded car tire. Consumed by fear, Filly made one last-ditch effort to escape and hid under the car of one of her rescuers. After 2.5 months of rehabilitation, sweet Filly found a home with a mom who adores her. 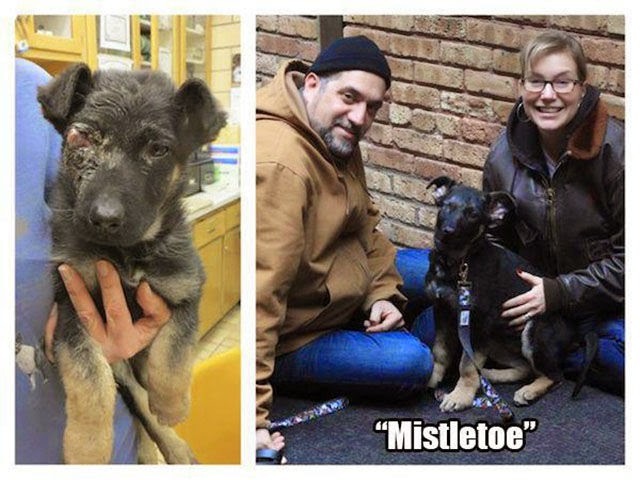 This abused puppy came into care suffering from severe eye trauma and infection. Little Mistletoe had pus dripping from her eye socket when her twisted necrotic eye would pop in and out of place. Once out of surgery, Mistletoe went into a wonderful foster home that cared for her until she was ready to be spayed, vaccinated, microchipped, and have her face staples removed. 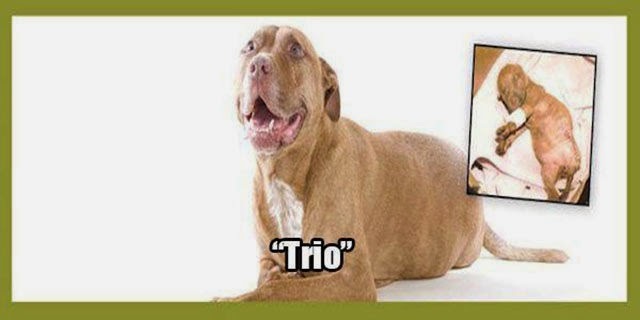 When Trio was only four weeks old, she had her back leg bit off when she was used for bait in a dogfight. She was tiny enough to fit in a shoebox and was given a 10% chance of survival. Destined to be the inspiration for overcoming the impawsible, Trio miraculously recovered and was taken in by Sue, the founder of the Trio Animal Foundation.